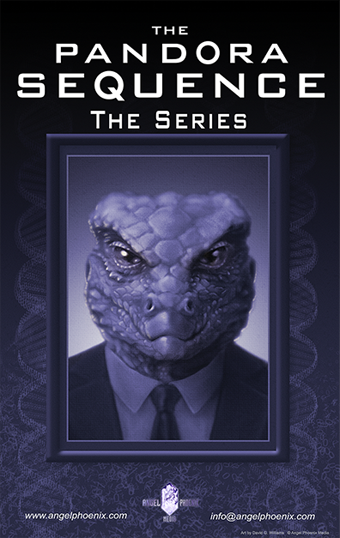 There is a reptilian in your mind… and it knows what you are thinking. THE PANDORA SEQUENCE is a tour-de-force meta-thriller that dives headlong into the mythologies that are resonant in the world today – conspiracy, the alien agenda, and radical planetary change. Mitch Pyne is starting to realize that his premonitions of a devastating Los Angeles earthquake might be real. But when Mitch discovers that he alone holds the key to the ancient and terrifying legacy within the human genetic code, a secret that has ignited a deadly war between two rival billionaires, he is attacked by dark and sinister forces he can’t comprehend. Compelled to choose sides in a twilight world where no-one can be trusted, Mitch must now decipher the clues left for him by his murdered friend – or the terrible powers that have been manipulating humanity for thousands of years will trigger a series of catastrophic natural events… and smash humanity back to the Stone Age.